Get to know the Great Lakes states through a selected reading list. 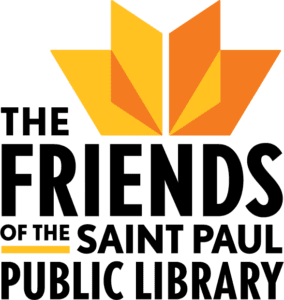 The Friends of the Saint Paul Public Library, as the Minnesota Center for the Book, is pleased to announce “Great Lakes Reads,” a collaborative project of the Great Lakes State Centers for the Book: Illinois, Indiana, Michigan, Minnesota, New York, Ohio, Pennsylvania, and Wisconsin, with participation by the Ontario Book Publishers Organization. Created in 1977, the Center for the Book in the Library of Congress promotes books, reading, literacy, and libraries. Books for the “Great Lakes Reads” list were selected by each state, and province, that borders a Great Lake. The chosen works, all by authors either from or residing in each location, highlight the state’s relationship with its lake and the communities surrounding it. Minnesota’s selected book is The Long-Shining Waters by Danielle Sosin, published by Milkweed Editions. The Long-Shining Waters won the Milkweed National Fiction Prize, and was chosen as the One Book South Dakota 2013. It was a finalist for the Minnesota Book Award, as well as The Midwest Independent Bookseller’s Choice Award. Sosin’s first book, Garden Primitives, a collection of short stories, was published by Coffee House Press in 2000. The author has been the recipient of many awards and fellowships including the Minnesota State Arts Board, the Arrowhead Regional Arts Council, and the Loft Literary Center. She lives in Duluth, Minnesota. Illinois: Maritime Chicago by Theodore J. Karamanski and Deane Tank, Sr.
Maritime Chicago tells the story of this important transportation and trading hub situated on a great “inland sea” and the city’s maritime past bears witness to much triumph and tragedy, victory and defeat. This classic tale explores the childhood of a young boy growing up surrounded by Indiana’s scenic lakeshore dunes. It was distributed to over 100,000 soldiers during WWII. This collection presents a truly unique view and understanding of the waters of Michigan. Water as vast as the Great Lakes, as serene as the inland lakes, and as long and lazy or sleek and fast as the numerous byways that run between and among them. Frigid, lethal, and wildly beautiful, Lake Superior is as alluring as it is dangerous. Featuring three women living on its shores in three different centuries, Danielle Sosin’s novel illuminates the mysterious powers of the greatest of the Great Lakes. The year is 1901. As headmistress of Buffalo, New York’s most prestigious school, Louisa Barrett is at ease in a world of men, protected by the titans of her city. But in this city of seething intrigue and dazzling progress, a battle rages among politicians, power brokers, and industrialists for control of Niagara. Every Clevelander understands the lake effect, a weather condition that brings plenty of snow, especially in November when election time rolls around. Milan Jacovich, the genial Cleveland private eye, has never been a political animal, but soon he’s in for a lot rougher time of it than simply poll-watching. Presque Isle State Park is a 3,200 acre sandy peninsula that arches into Lake Erie, offering a beautiful coastline and a variety of recreational activities. Filled with a number of unique habitats, it features many migrating birds and contains many of the state’s endangered, threatened, and rare species. Set in one of the nation’s most highly segregated cities, Meet Me Halfway tells stories of a community with a tumultuous and divided past, and captures a Rust Belt city’s struggle to establish common ground and a collective vision of the future. By exploring the connection between people and place on the rugged coastline of Lake Superior, Mihell weaves first-hand experiences as an outdoor adventurer with compelling character studies of cottagers and entrepreneurs, personal essays, and environmental reporting.